Celebrating 10 years of Oak Tree Mobility! This autumn, we’re celebrating ten years in business! It’s been a decade since company founders Tom Powell and Ricky Towler decided to create a business that does things differently. We’ve come a long way in that time, but our belief that everyone should be free to enjoy a rich and fulfilling life remains as strong as ever. So read on for a trip down memory lane! 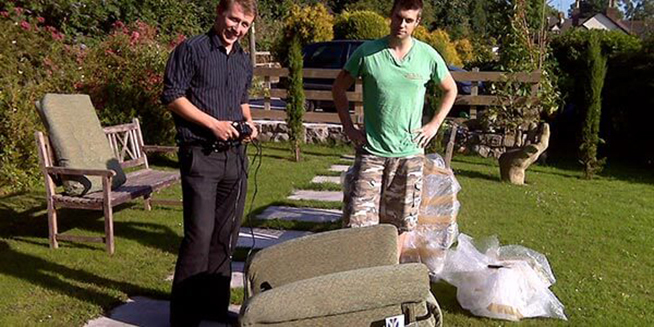 In September 2008, Tom and Ricky founded Oak Tree Mobility. They were frustrated by their experiences in the mobility sector, and established the company as a reaction against the poor customer service and tired-looking products that seemed to come as standard. 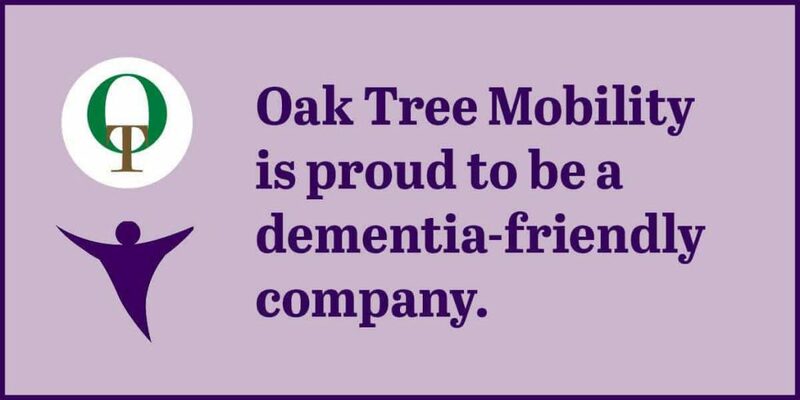 They chose the name ‘Oak Tree Mobility’ and the phrase ‘Your Comfort Is Our Strength’ because they represent everything that Oak Tree stands for: tradition, support, reliability, and Britishness. Tom and Ricky founded Oak Tree Mobility in 2008 and still head up the company today. They’ve smartened up a bit since then! Their aim was to help as many people as possible. This is something that still drives Tom, Ricky, and all of us here at Oak Tree today. Fortunately, their outfits have changed a bit! Tom and Ricky found their feet almost immediately. 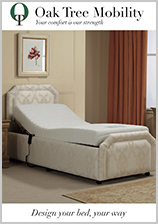 They sold their first chair in February 2009 and began selling adjustable beds in March of that year. The rest, as they say, is history. The company has gone from strength to strength ever since! From day one, Oak Tree has been all about you. Everything we do stems from our desire to change people’s lives.We’re passionate about delivering first-class customer service to each and every member of the Oak Tree family. Nothing makes us happier than hearing from a customer whose life has been radically transformed by one of our products. We’re really proud of our five star Trustpilot rating and our 98% eKomi customer satisfaction rating. But don’t just take our word for it! 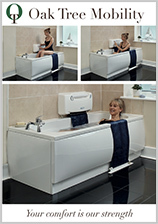 Take a look at some of our customer testimonials. “When my chair came, it was absolutely wonderful to sit in,” says Mrs Atkins. Watch the video below to find out more about how her new chair changed her life! 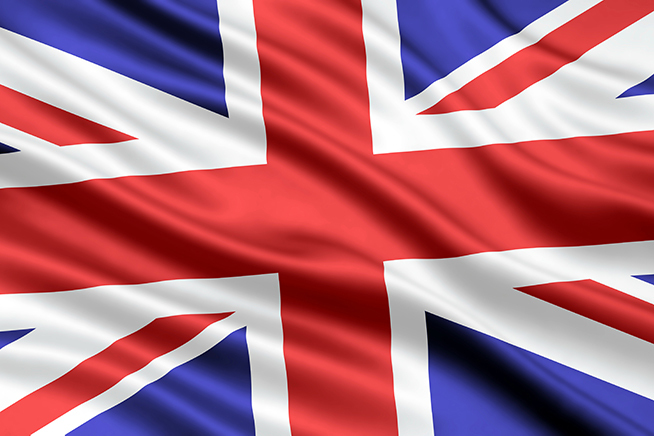 Something else we’ve always been passionate about is British manufacturing. 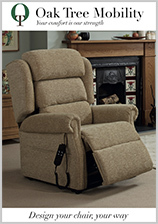 All our rise and recline chairs, settees, adjustable beds, and bath lifts are made in Britain. This includes top quality British steel, sourced from around the UK. The ‘British Made’ stamp stands for quality, reliability, and trust – all attributes that are hugely important to us. We’re proud to support British manufacturing, and to help bring trade and jobs to our precious communities. By keeping our manufacturing at home and relying on British craftsmanship, we are able to maintain control and manufacture products that life up to our exacting standards. Our highly skilled craftsmen drawn on years of experience to make beautiful products, and we wouldn’t have it any other way. Watch the video below to see the manufacturing process in action! In 2015 we began working in partnership with the British Heart Foundation. We donate all reusable furniture that we collect through our trade-in scheme to this amazing organisation. They sell this furniture on in their many shops across the UK and use the proceeds to fund their live-saving research. Every piece of furniture donated makes a difference. In fact, just £200 can help fund young scientists currently working in research teams throughout the UK! In 2016 we joined the Disability Confident Scheme, an initiative that encourages businesses to recruit and retain employees with disabilities and health conditions. We’re also a dementia-friendly company, which means our staff are fully trained to be aware of and understand dementia. We regularly receive refresher courses to make sure we can recognise the symptoms of the condition and protect our most vulnerable customers. We’ve had a fantastic ten years and we’d like to thank you for being a part of our journey. We couldn’t have done it without you. If you would like to learn more about how an Oak Tree product could help you enjoy the comfort you deserve, call us free on 0800 999 2895.